One thing Madrid does have in abundance is art. It has three world-class art museums, the Prado, the Reina Sofia and the Thyssen-Bornemisza, containing some of the world’s best-known paintings from a whole range of historical periods. 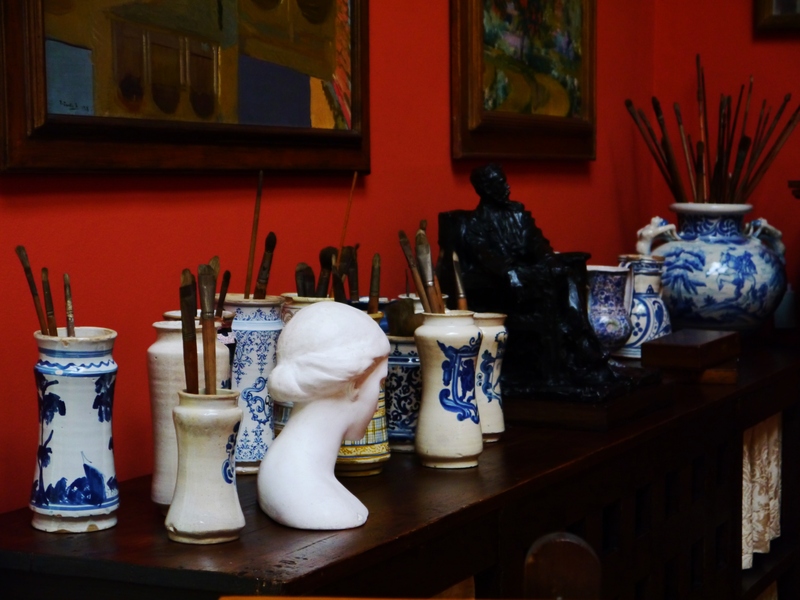 However, one of the city’s art museums which is often overlooked by foreigners is the small Museo Sorolla in the quiet, leafy residential neighbourhood of Almagro. 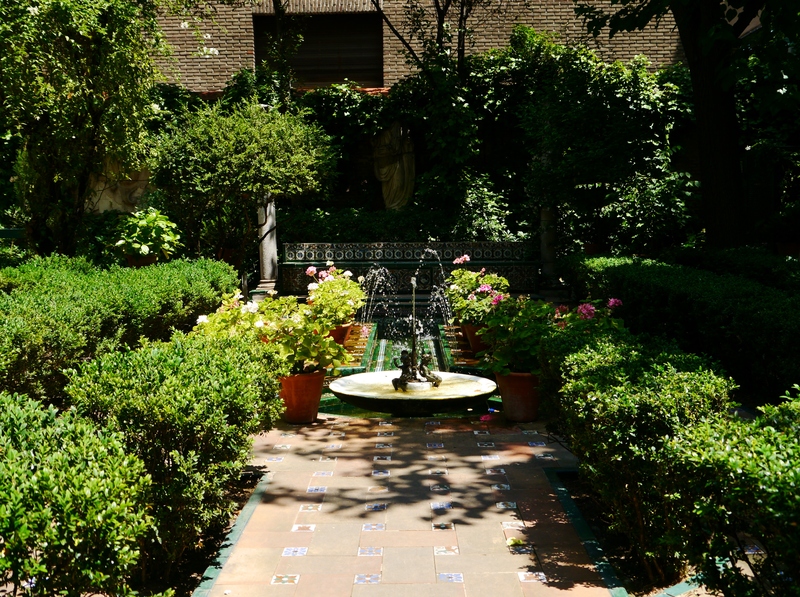 The museum houses artwork by Spanish Impressionist painter Joaquín Sorolla (1863-1923) and is actually inside the elegant Andalusian-style villa in which he and his family used to live. 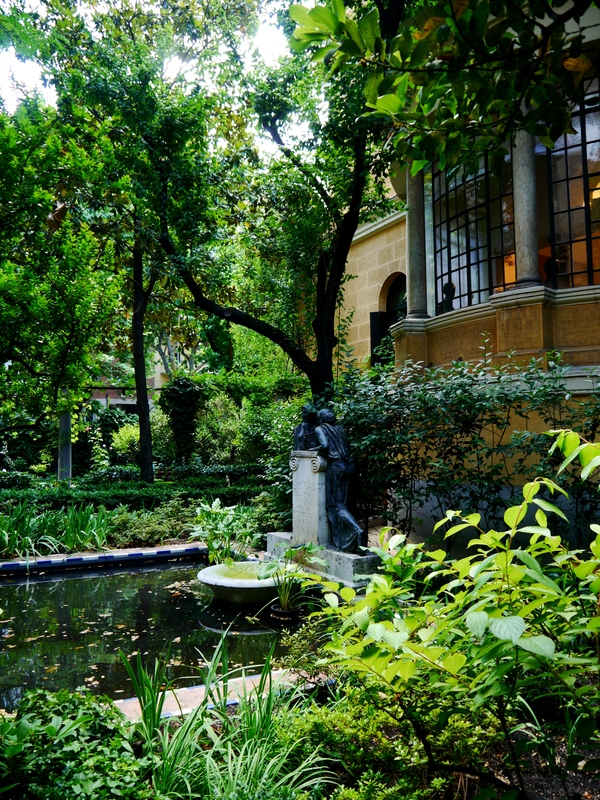 You enter the museum through the villa’s petite but manicured garden with small fountains, benches under the shade, stone statues and a pond. 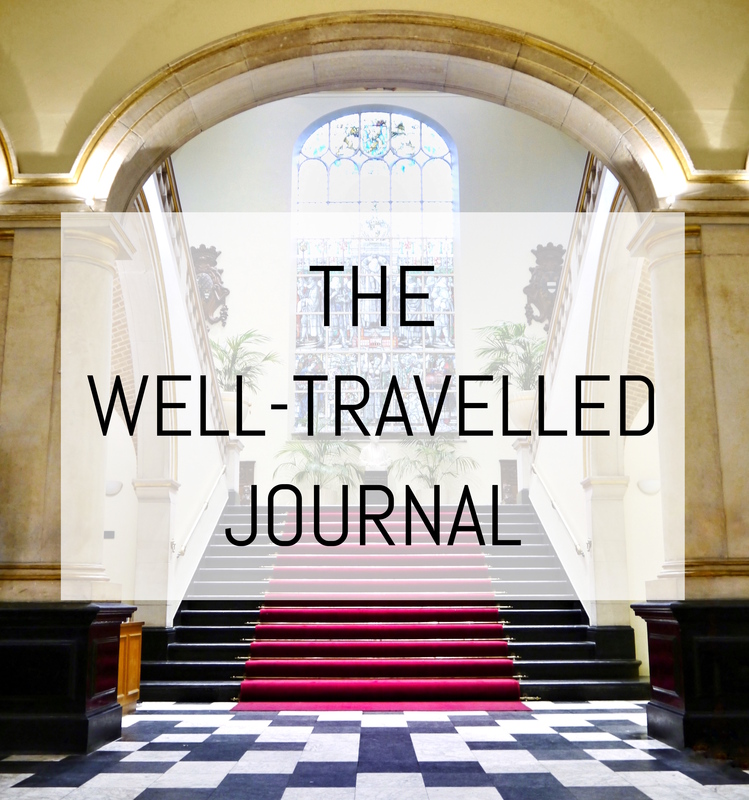 It’s a great tranquil escape from the heat of the city. 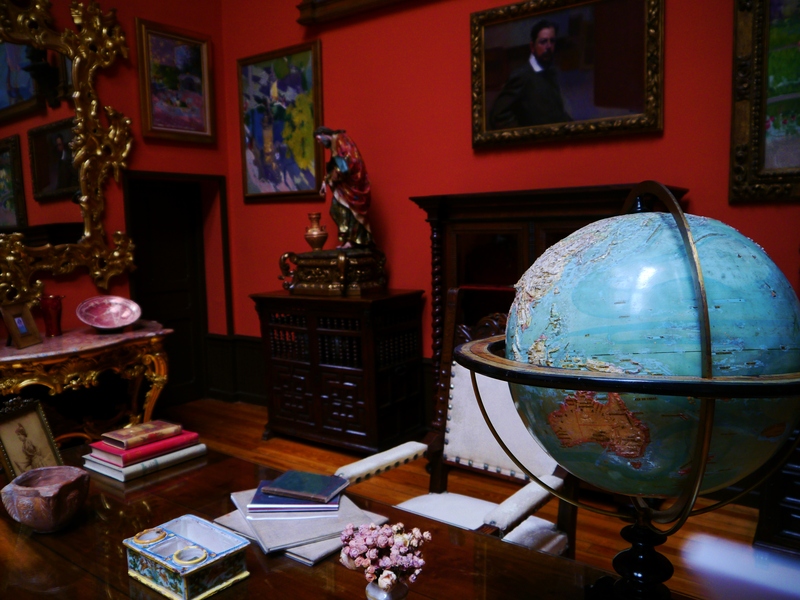 Continuing into the museum you pay a nominal admission fee of €3 (or it’s free on Saturdays 2-8pm & all-day Sundays) and wander through the seven or so rooms that comprised Sorolla’s work space, his studio and the living quarters of the villa. 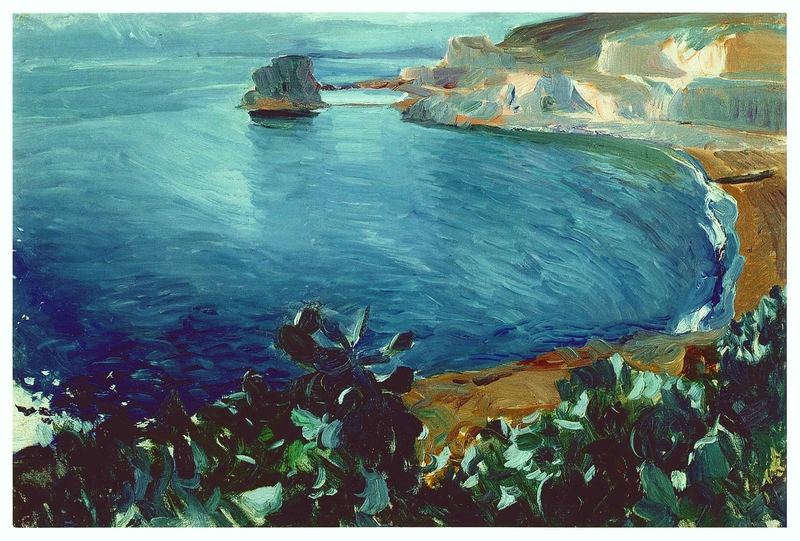 His art hangs on the walls and small plaques describe the evolution of his style and in particular the importance of light and sunlight used in his paintings. I bought this postcard in the museum’s hop and the colours of this landscape haven’t quite come out as vividly as the original, but it’s a good example of his style of work. He also painted several portraits of his wife Clotilde and his three children, with his beach scenes being among my favourites of his. Upstairs there is currently a good photography exhibition called Bailando Sorolla of a dance performance inspired by Sorolla’s art (open until 14th September 2014). 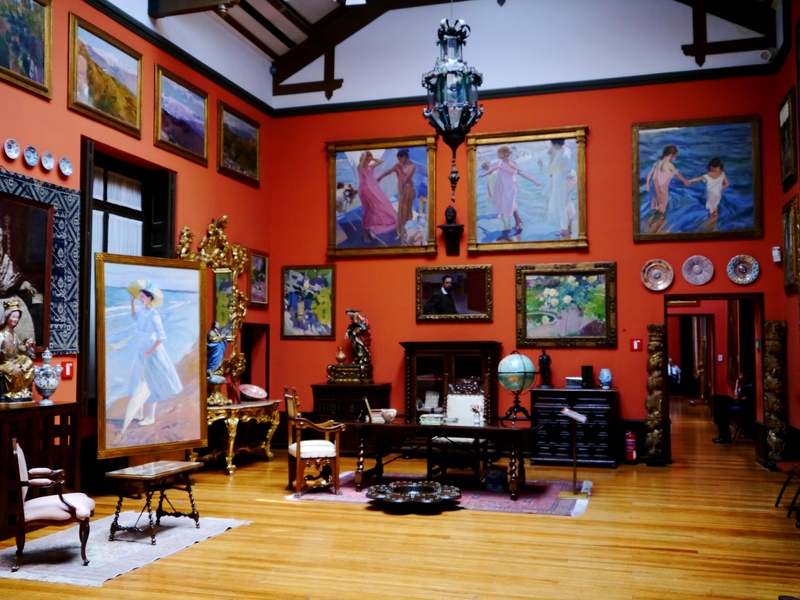 I love the Sorolla Museum! It’s one of the first places I went when I moved to Madrid, and now I live right in the neighborhood.